Going on an extended off-road adventure? Tailgating for the big game? 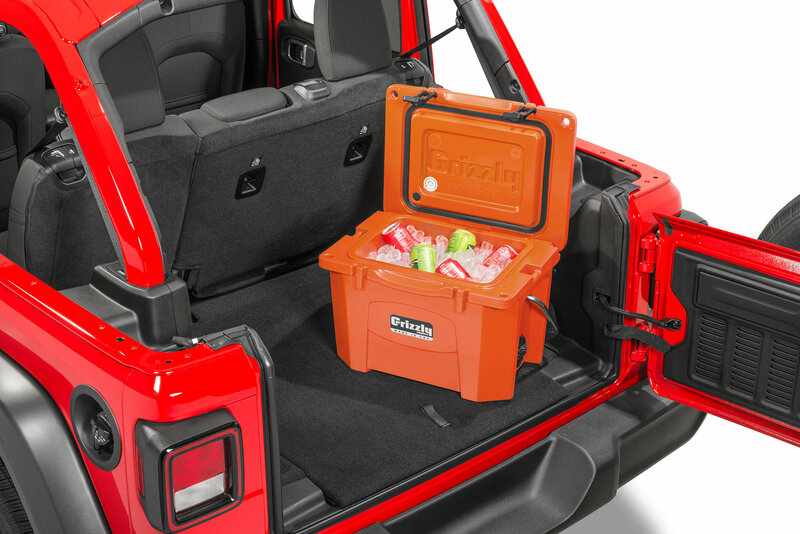 Keeping things cold for long periods of time is exactly what the Grizzly G20 Jeep Cooler is designed for. This 20 qt. cooler is built tough enough for any environment, and is definitely worthy of the Jeep name that is engraved into the lid of the cooler. 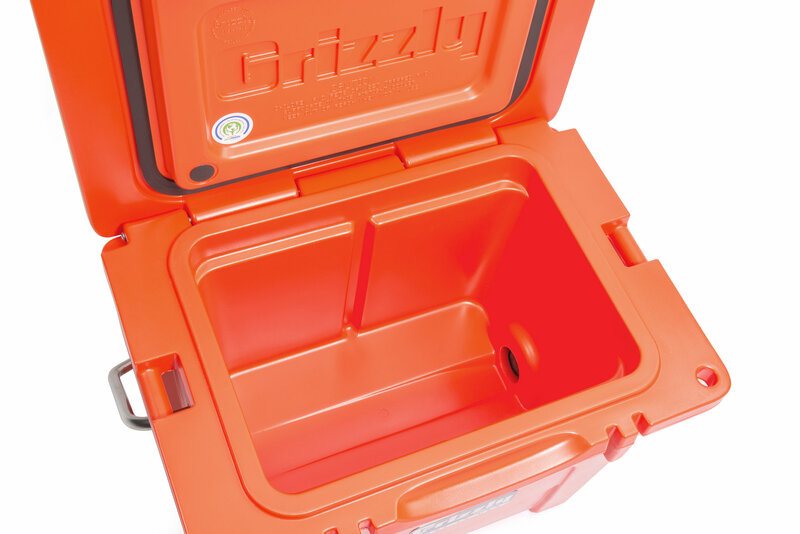 Grizzly Coolers are manufactured from rotationally molded plastic to ensure toughness and optimal performance. This process ensures consistency in wall thickness which makes the cooler free from imperfections making the overall design able to stand up to any type of abuse. The thick pressure-injected insulation between the wall layers ensures maximum ice retention and protection from the heat of the sun. All Grizzly Coolers undergo strict IGBC bear resistance testing, to ensure the safety of not only the contents of the cooler but the safety and well-being of the animals as well. The large 2” drain plug removes easily, and the interior full length drain channels make for quick draining of the cooler. 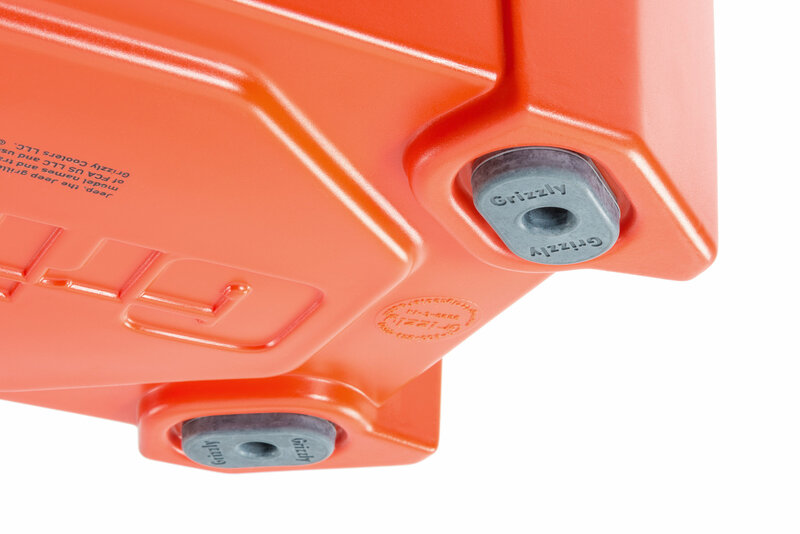 The lid is secured by the heavy duty Grizzly Bearclaw Latches, that keep the contents secure from animals while at camp. 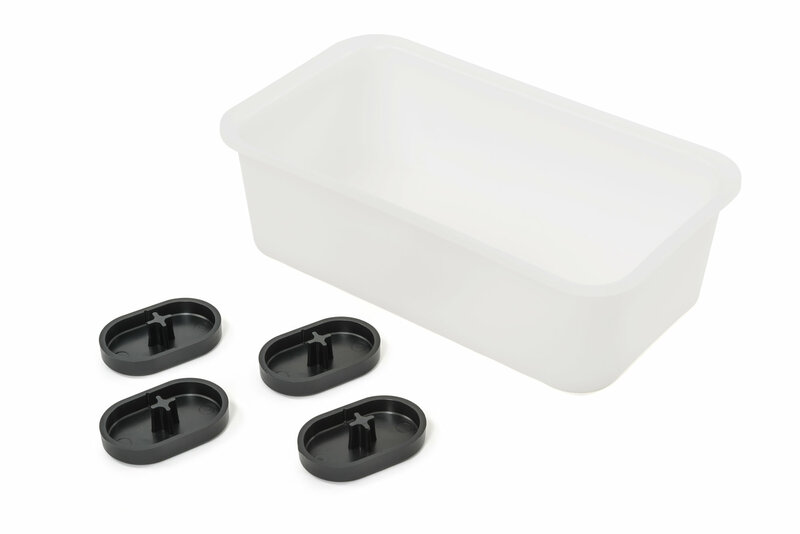 The interior dry goods tray will hold food items that need to be cold, but kept dry out of the ice. Each cooler includes 2” tie-down holes to keep the cooler in place and secure while inside the vehicle. 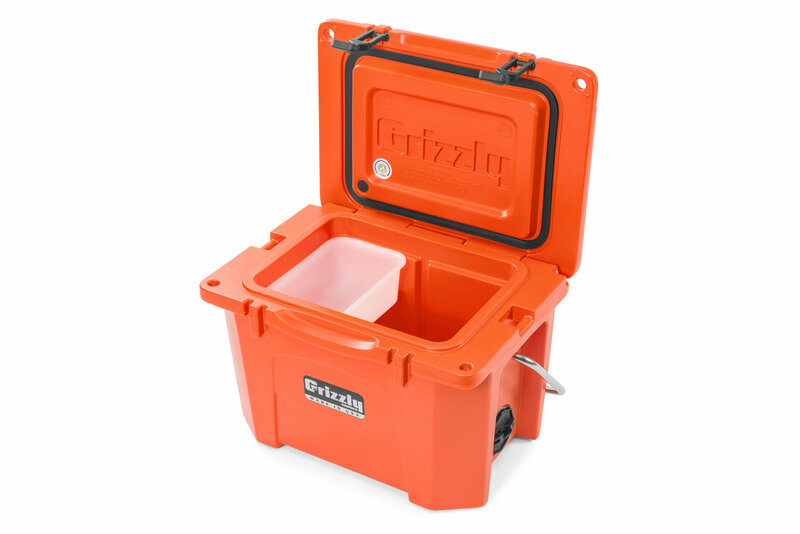 Grizzly Coolers are the perfect option to take along on any long-distance trip or full day event! Available in White, Orange, Tan, and OD Green colors. Made in the USA! 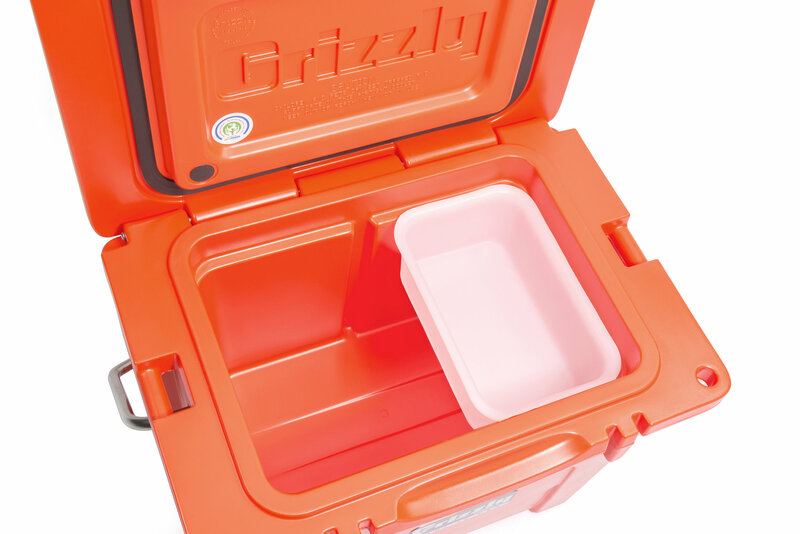 Superior Ice Retention: Grizzly Coolers feature thick, environmentally friendly pressure-injected insulation that undergoes extensive testing to ensure that ice lasts the longest under the most extreme conditions. The cold stays cold, and the Sun stays out! Feature Packed: The Grizzly 20 qt. Jeep Cooler features the embossed Jeep Logo on the lid as well as a 17” ruler. 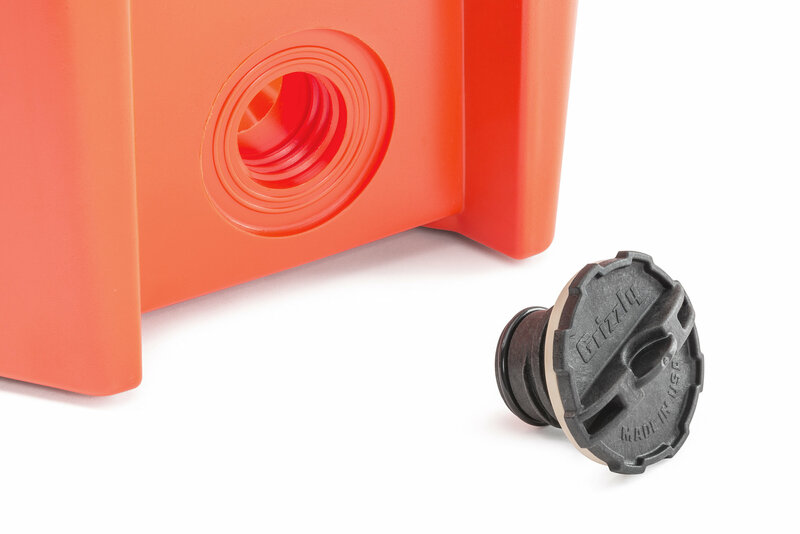 Heavy duty rubber gaskets make a complete and perfect seal. Comfortable rope handles with nylons sleeves make carrying easy. 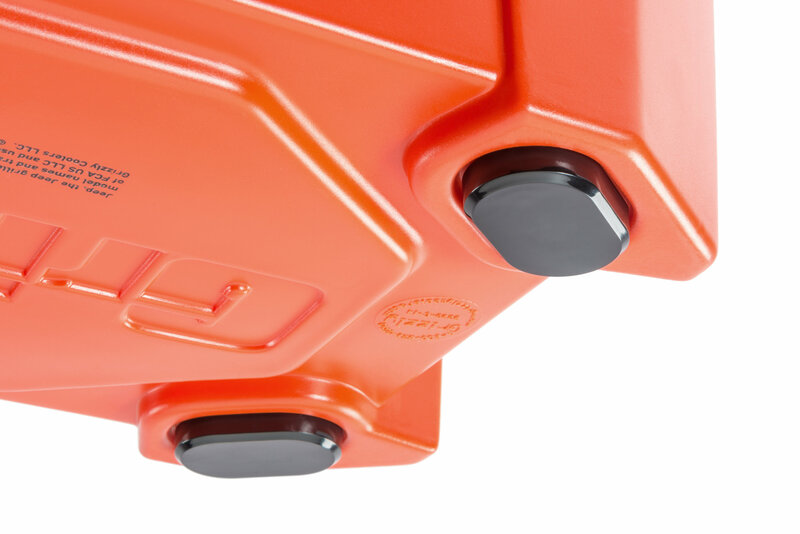 Non-Slip rubber feet ensure the cooler stays in place and will not slide around. Carry Anywhere: Grizzly Coolers are easy to transport and can tie down in the rear of any vehicle with the built in 2” tie down retainers. The large 20 qt. capacity only weighs 17 lbs. when empty and makes transporting the cooler simple! 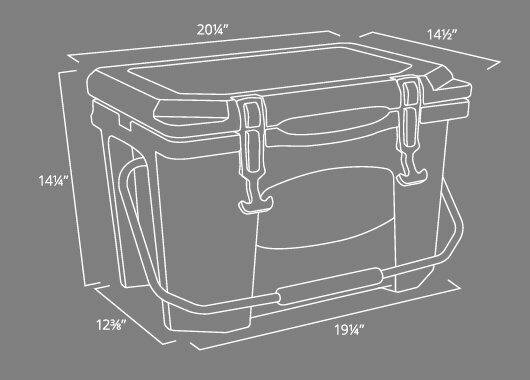 Take this cooler anywhere your vehicle can take you.